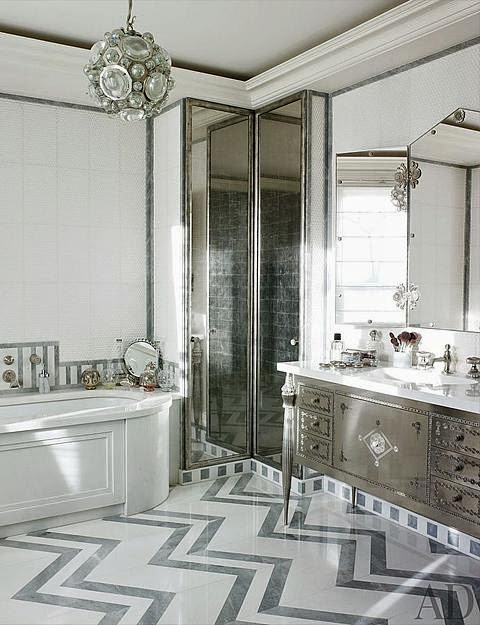 On the subject of bathrooms, there are too many inspirations to count and share. 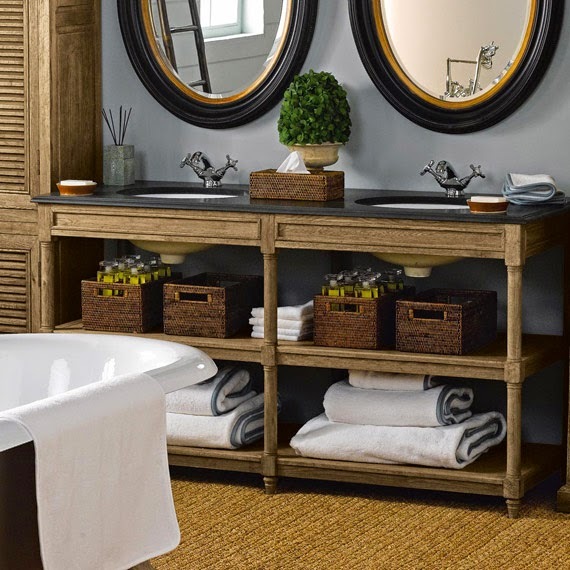 In case of all three bathrooms that we renovated, I've had a general feeling or a vision of what I wanted and then searched for sample images for specific areas of bathroom that I wanted to emulate. Some of my design and style choices were driven by deals and steals while others were result of discussions with my experienced contractor who offered a number of ideas. I've also purchased floor marble tiles for version 1 of master bath, but since we decided against extending it, I've re-purposed them for kids bath as it was supposed to be larger in size. Master bath was driven mostly by our vanity which took quite a long time to find but find we did it, on sale at Ginger's. 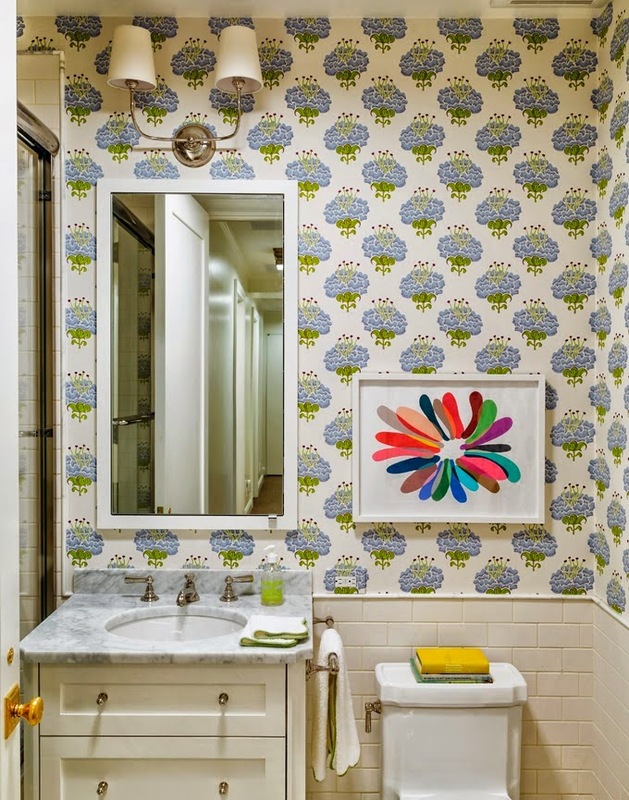 While I was not planning to put wallpaper in any of those three bathrooms, I love the feel of this one. 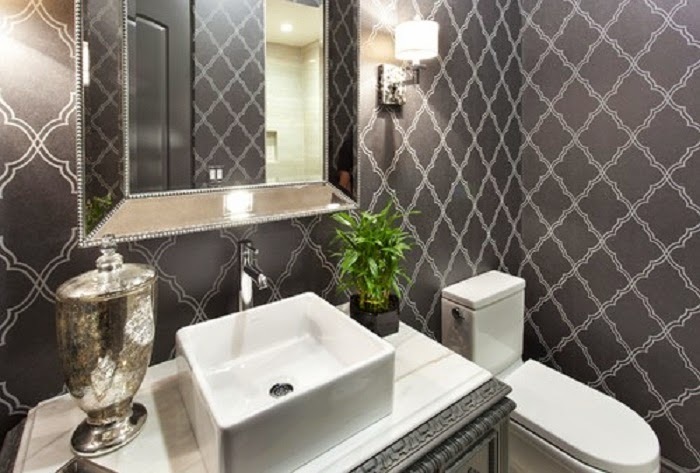 I've saved this image as it has black and white feel (which is what we were going for in our basement bathroom) but also for the sconces which I love, and wanted for different area of the basement. Again, love this dark grey and white, traditional and modern juxtaposition. More traditional than above image, but similar play of colors and feel. 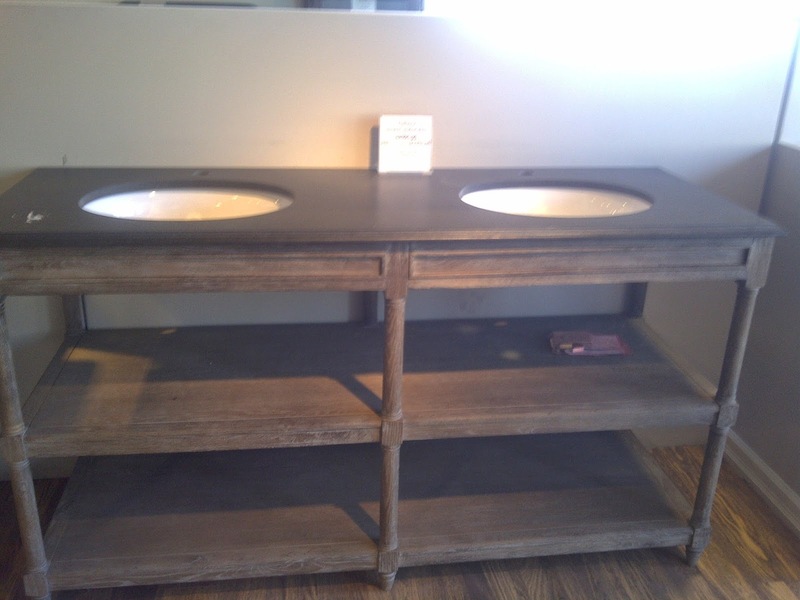 This one has playful feel, something that would be great for kids bathroom. 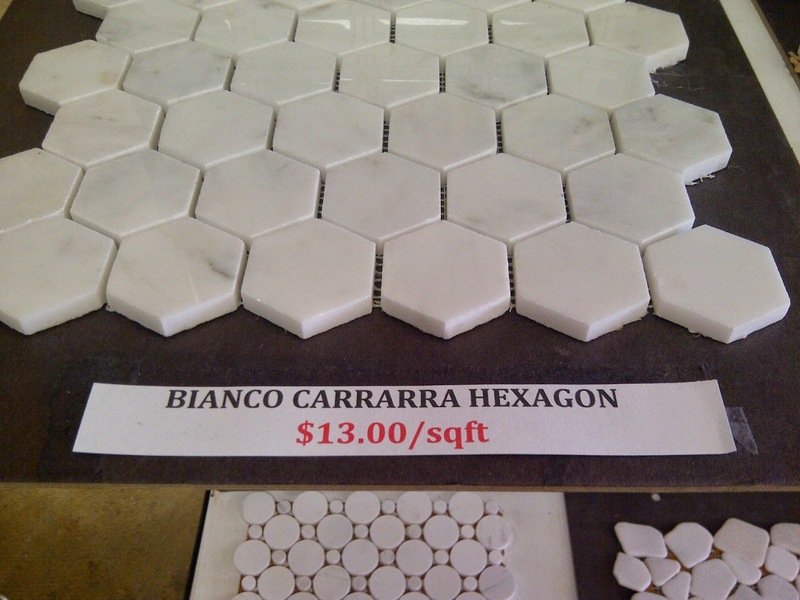 I saved this for its herringbone pattern and mix of tiles, something I was going for in basement bathroom shower.